What Is NORAD Tracks Santa? Anyone who has any form of interest in Christmas and how it’s applied in the digitial age, then you may not need to look much further. NORAD Tracks Santa is a programme that has been around since 1955; run by the North American Aerospace Defense Command, NORAD offers a way to show people where Santa Claus is in the world. 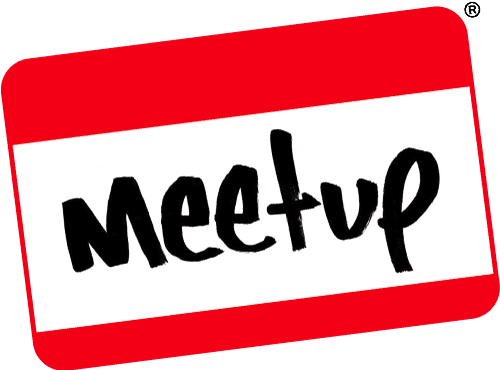 This turned out to be one of the harder questions in this month’s GeekOut Bristol Meet, as it turns out that whilst most people knew of some form of Santa tracker, people weren’t sure on the name… Or why it even exists. As such, I thought it’d be fun to look at what NORAD Tracks Santa is, how it came to be and what it does today. NORAD Tracks Santa started life as a mistake, which feels awkward to say but hey ho. Effectively, the story goes that a Sears store printed an advert which some little boy say. The boy rang the number, only to get through to what was then known as CONAD, the Continental Air Defense Command. The guy on the other end of the phone had a pretty serious job, so to be asked about Santa Claus was a little bit disconcerting – After all, depending on the version of events you hear – It either came through on some emergency red phone, or directly through to the Crew Commander who was on duty, a Harry Shoup. Naturally, the kid didn’t exactly get to hear about where Santa Claus was. Later on, a picture of Santa Claus went up on a tracking board and Shoup clearly put two and two together, as he suddenly came to the realisation that Santa Claus was a threat to the universe they could get some good press out of this. So, he ordered people to answer phone calls from kids, so they can find out where Santa Claus was in the world. Naturally, this was supposed to be a one and done, as Shoup put out an announcement that CONAD was tracking Santa. But the next year, word got out they were doing it again – And so, since they were told reports said they were, it seemed like a good idea to continue it… And thus, the annual Santa tracking event was born. This was at a time where the internet was a pipe dream; a fanciful idea at best. In 1981 then, an official hotline was born out of it, for kids to call to find out where Santa is. The idea, albeit a bit strange, especially for such a highly important military operation, was one that’s stuck around all the while since. In that time, CONAD changed over to NORAD and boom – The rest is history. Their website was officially first built around 1997, when the world wide web really started to take off and really, the rest is history. With social media on its side, as well as great internet history, today NORAD has the phone line, a website and even an app (as seen in the below image). Admittedly, this app does need a bit of an update – If the NORAD guys see this, please take note! I’ve always taken an interest in websites that do novel things; and naturally over time, imitators have come and gone. NORAD Tracks Santa may be one of the largest of its kind, if not indeed the largest. I’ve always found the project to be hugely interesting, to think that people who spend time serving their country would also spend time serving the children. In all honesty, I find it rather noble of the men and women who man the phones and update the programme – Because I think sometimes, no matter how bleak the world can seem, it’s nice to see there are people out there who are trying to spread cheer. After all, this is the season to be jolly, so why not? The website isn’t exactly something you’ll want to go on yourself, not necessarily, but if there’s a young one in your life, then you may want to share this with them. It’s a lovely sentiment which I think many of you will enjoy knowing about. 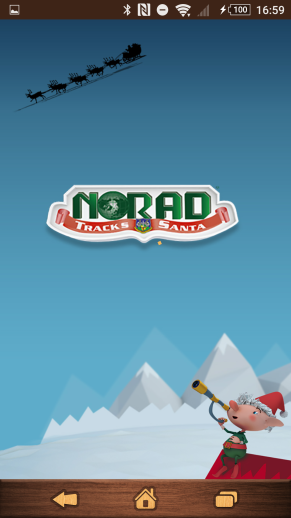 Have you ever used the NORAD Tracks Santa website? Have you ever used their apps? Do you know of any similar initiatives? Share your thoughts and opinions below, or over on Facebook and Twitter. Share what you or your local community, or your favourite people and communities do for the season as well. Let’s get warm and cosy now we’re so close to the big day. This entry was posted on December 14, 2018 by Timlah. It was filed under Technology and was tagged with App, Childrens, NORAD, NORAD Santa Tracker, Novel Uses Of Technology for Kids, Santa tracker, Website, What is NORAD, What Is NORAD Tracks Santa.